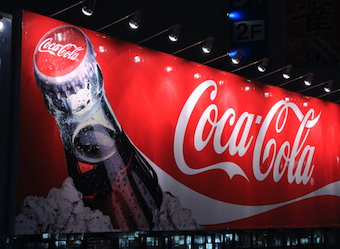 Coca-Cola has come out as champion in the 2014 Warc 100 lists, being named as the world’s smartest brand as well as the third smartest advertiser. Unilever has been named as the world’s smartest advertiser, followed by PepsiCo and The Coca-Cola Company. The world’s top three smartest brands are Coca-Cola, McDonald’s and Vodafone respectively. Warc assigned the rankings by tracking more than 1700 winners in 75 different competitions and assigning points based on the prestige of awards won. Both the top brand and advertiser had campaigns in Warc’s inaugural list of the 100 smartest marketing campaigns in the world, released earlier this year. Unilever’s ‘Real Beauty Sketches’ for Dove came in ninth, while Coca-Cola’s ‘Share a Coke’, by Ogilvy & Mather Sydney, was 20th. Visit Warc for the full list of 100.